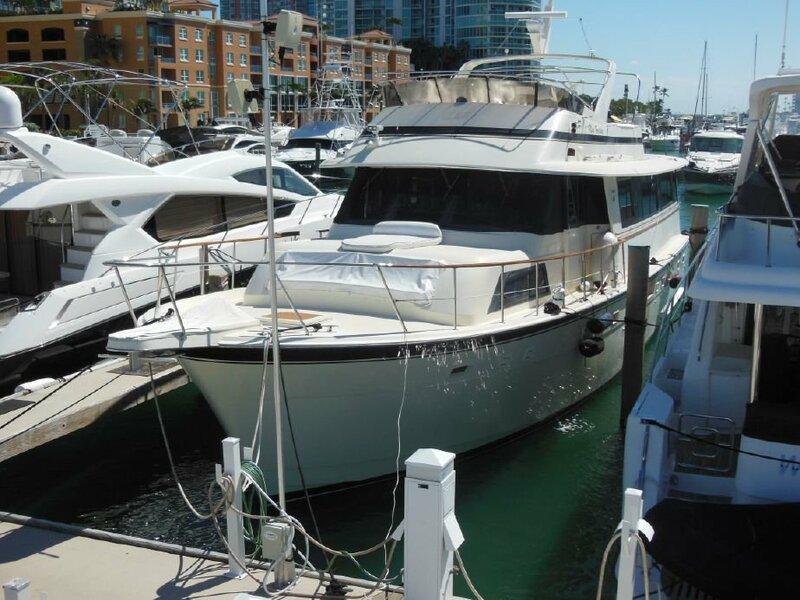 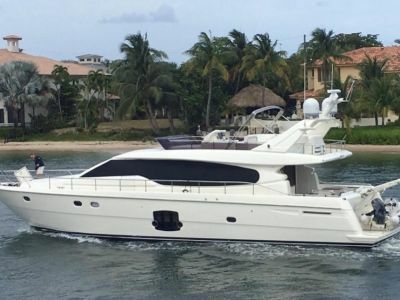 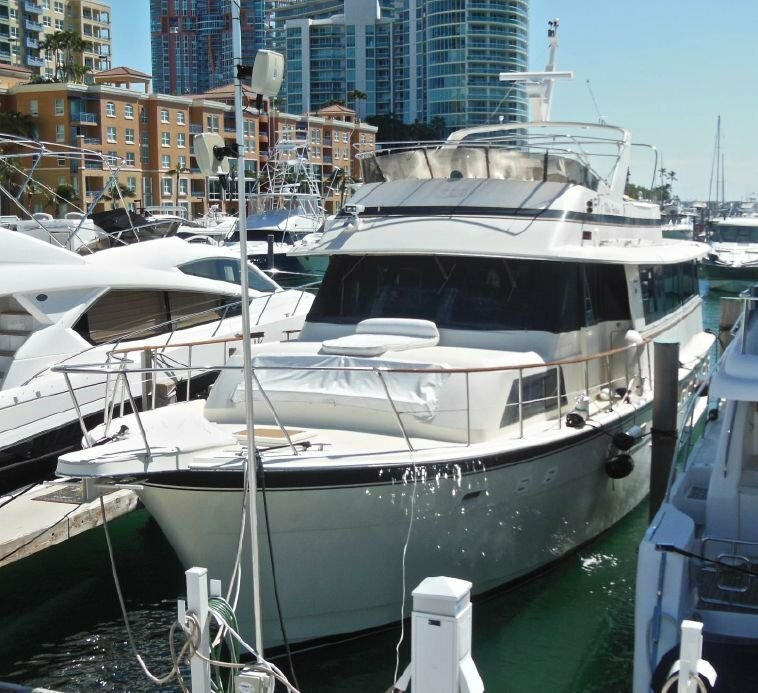 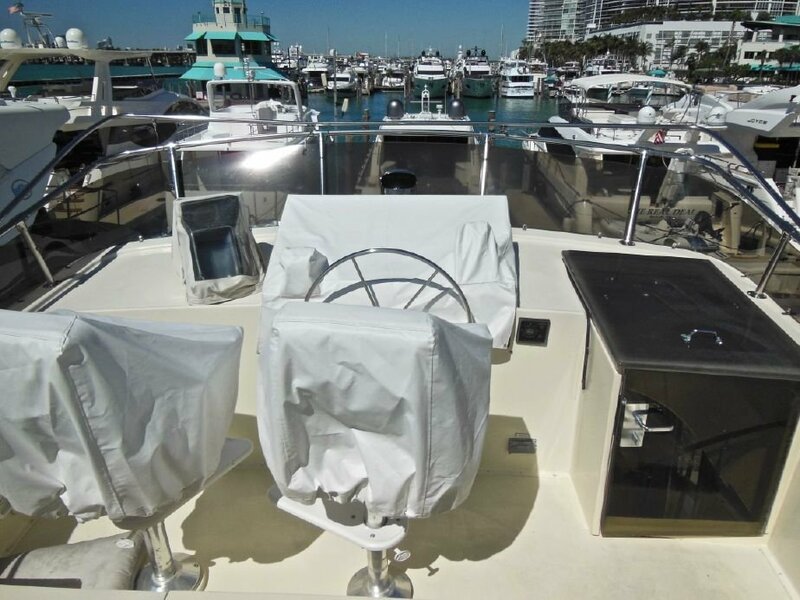 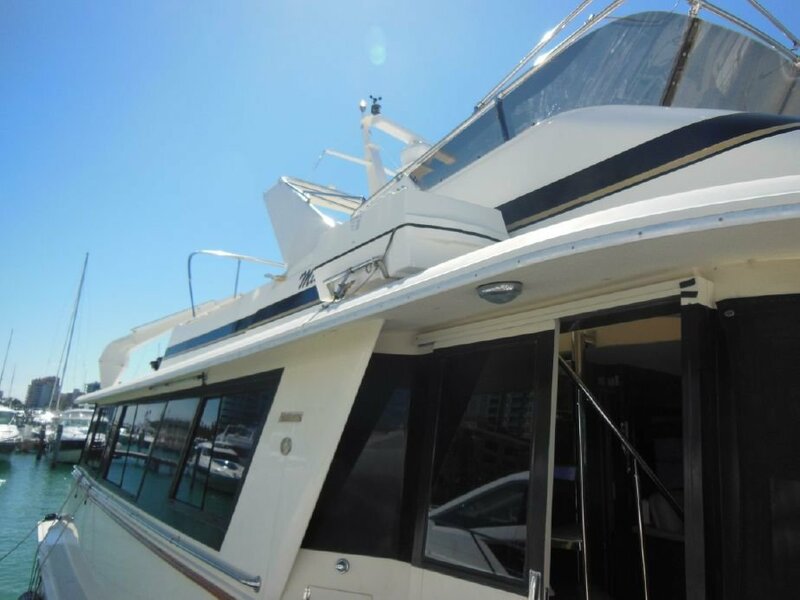 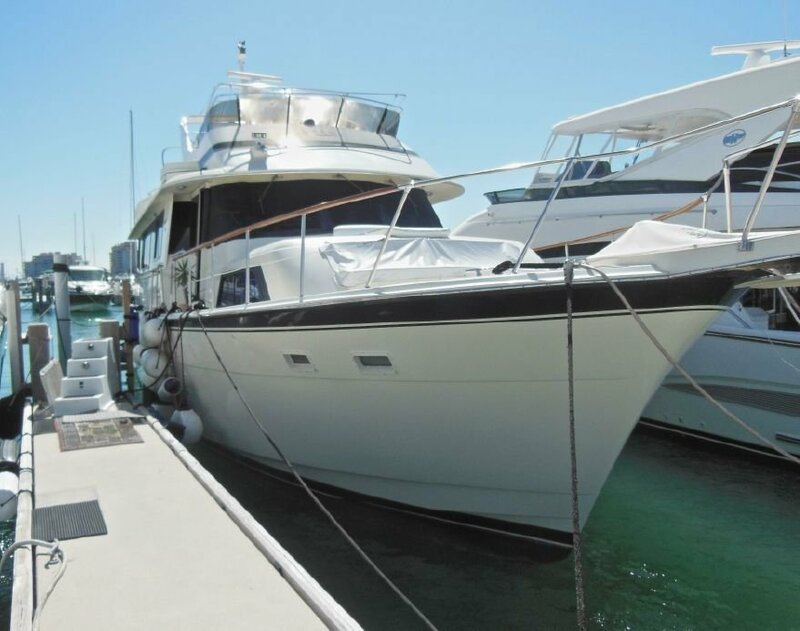 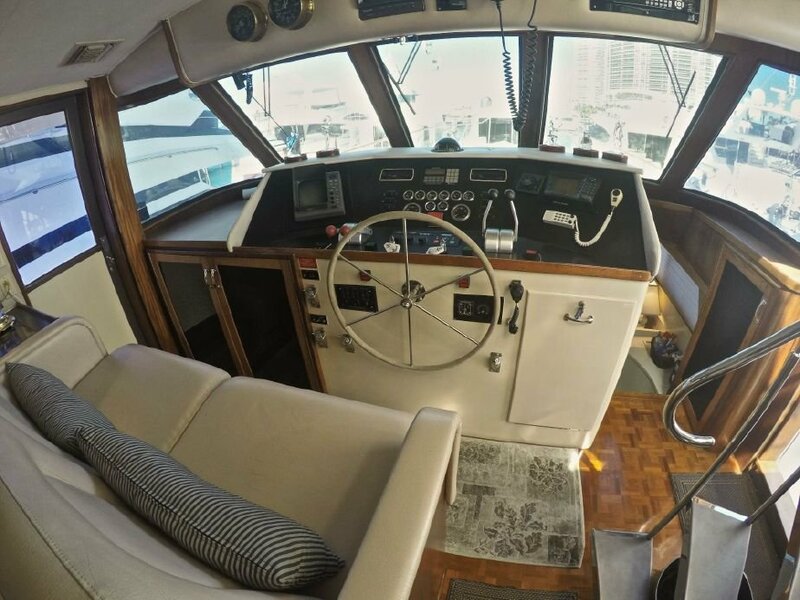 Lasting only a couple of years in production, the Hatteras 63 Motor Yacht is notable largely because of her modern galley-up layout and spacious full-width salon--desirable features found in many of today's motor yacht floorplans. 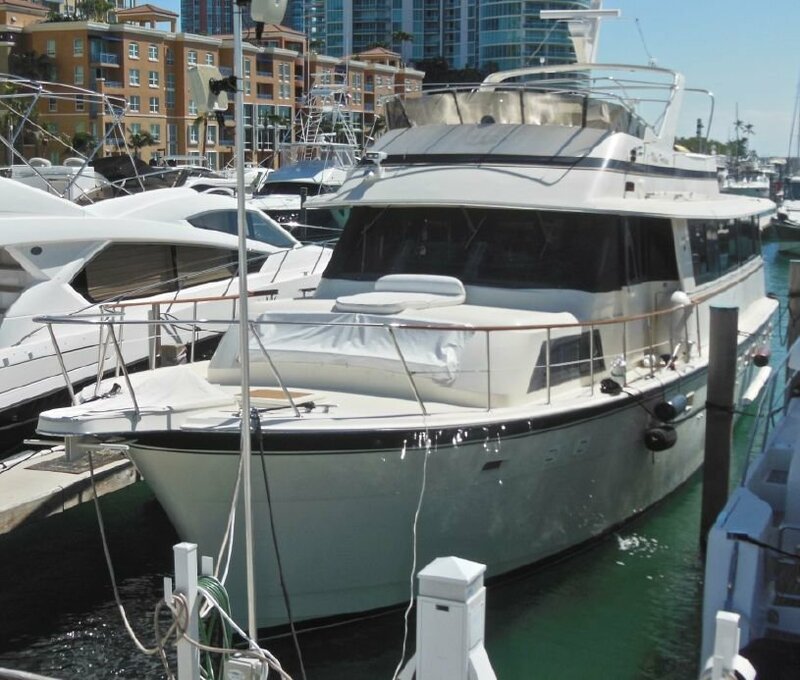 The 63 MY--and her sistership, the Hatteras 68 Cockpit MY--came with a spacious four-stateroom, four-head interior with extended main salon and enclosed galley/dinette area aft of the wheelhouse. 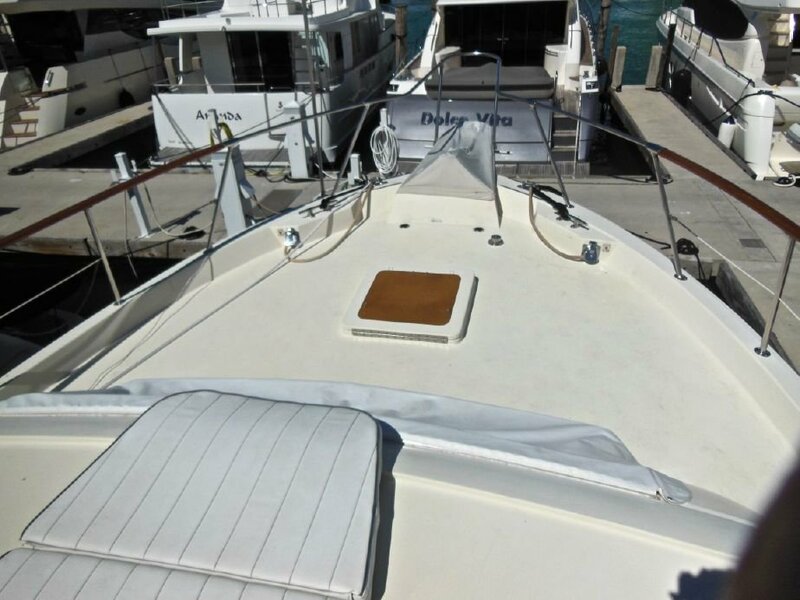 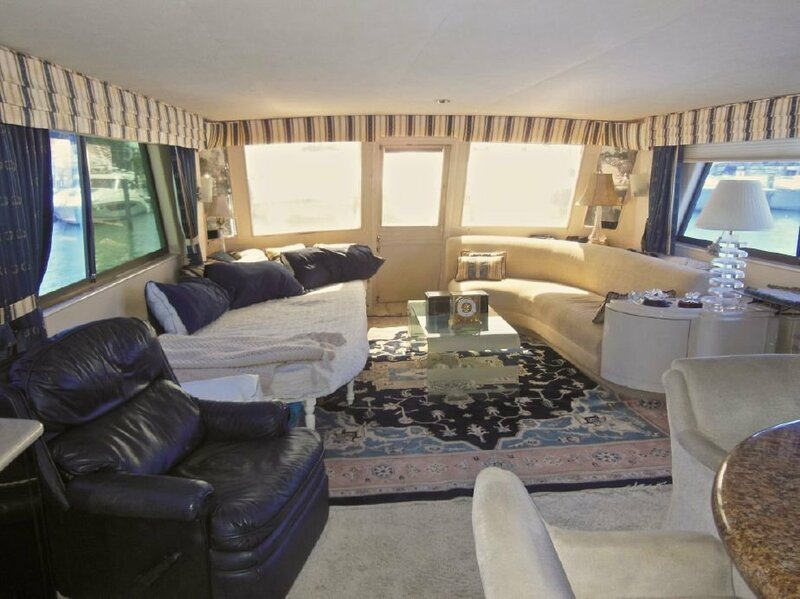 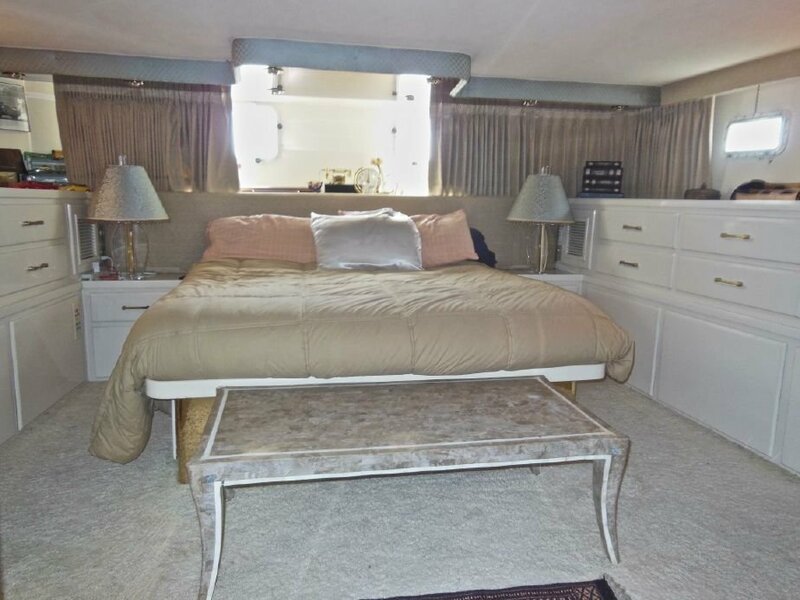 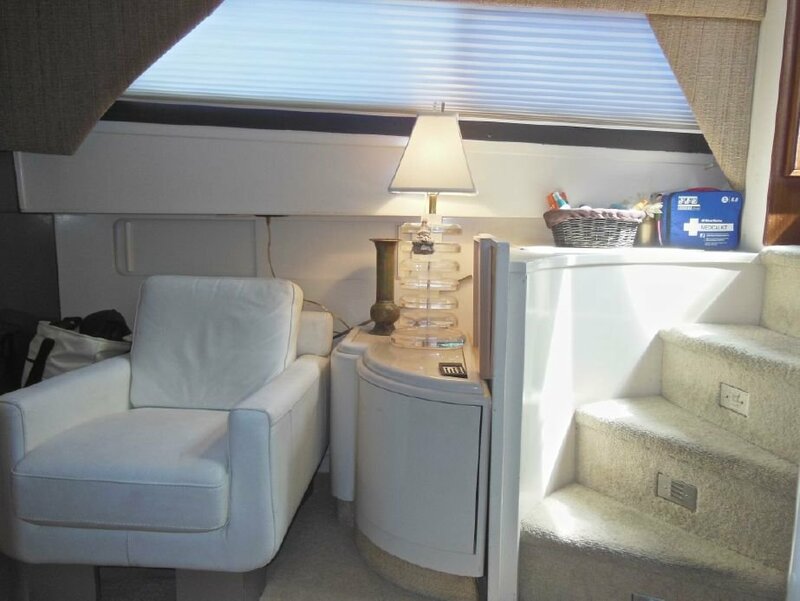 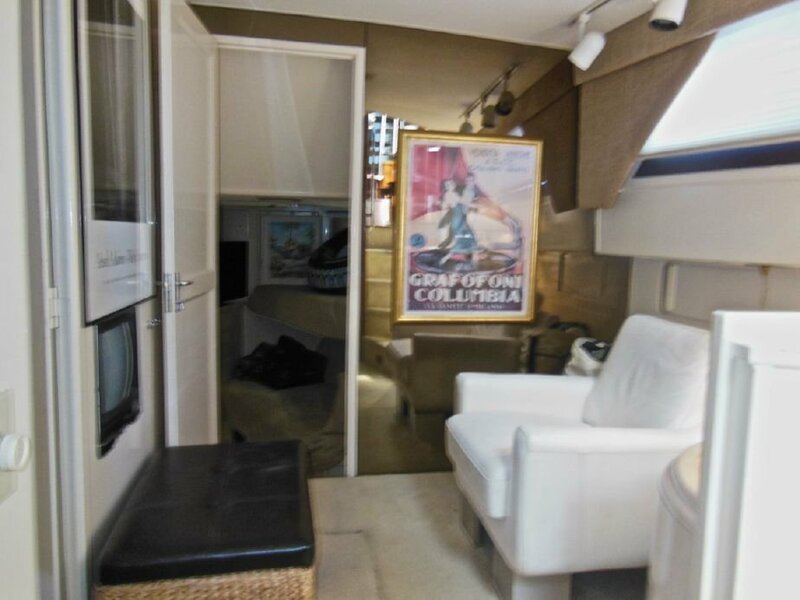 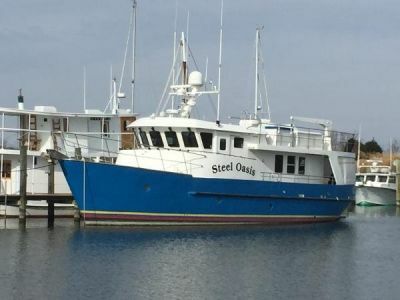 The owner's stateroom in this floorplan is exceptionally large with a separate dressing area, walk-in wardrobes, several dressers, and a full-size tub in the head. 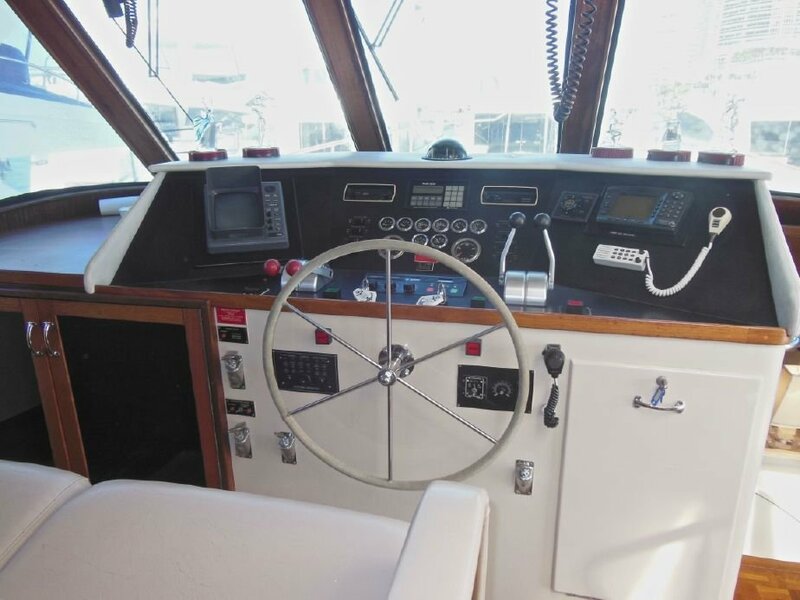 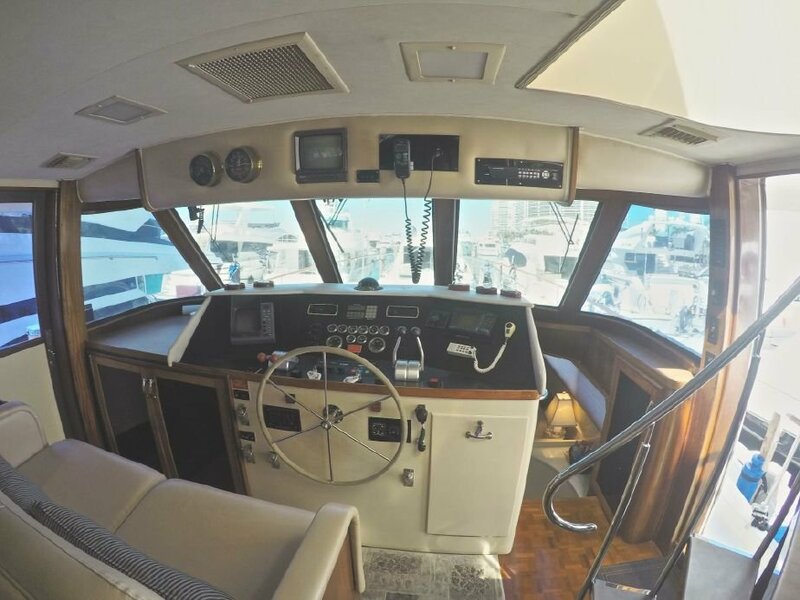 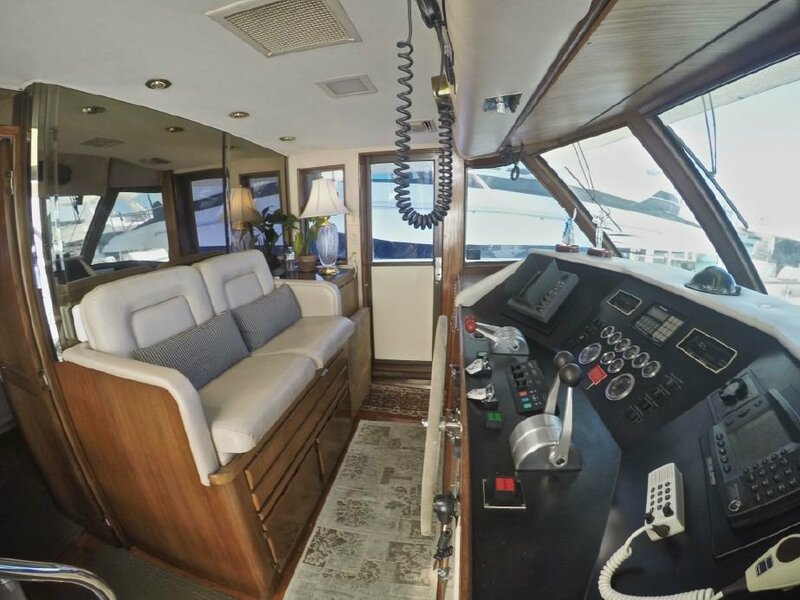 There are port and starboard deck doors in the private wheelhouse, and the interior is fully paneled and finished with teak woodwork. 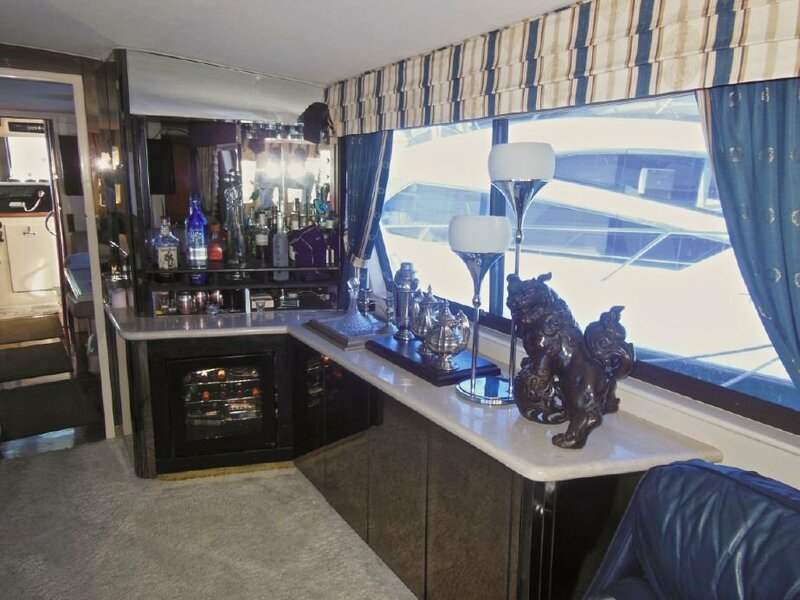 The main deck salon of the 63 MY is absolutely enormous with more than 275 square feet of living space--enough to create a formal dining area forward without intruding on the salon's expansive entertainment facilities. 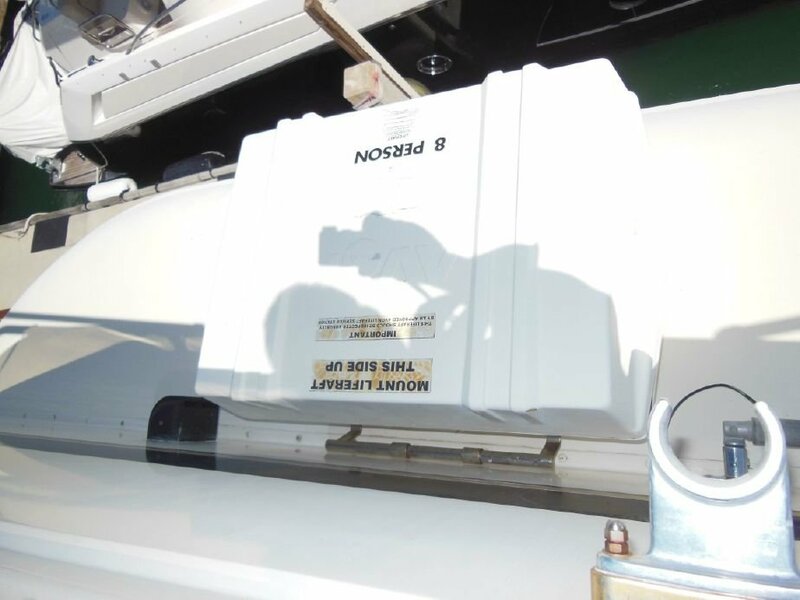 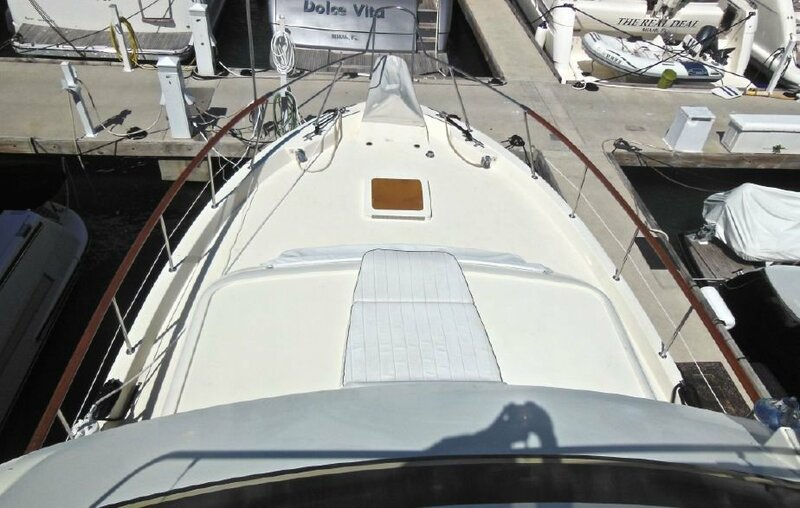 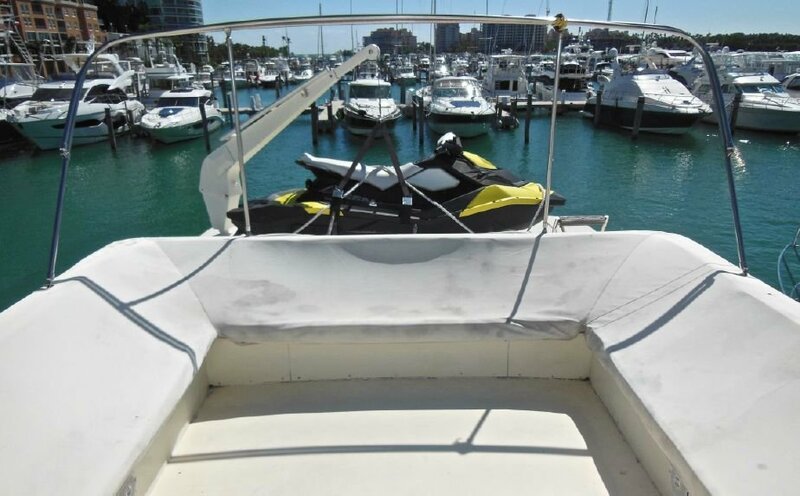 A small aft deck provides space for line handling at the dock. 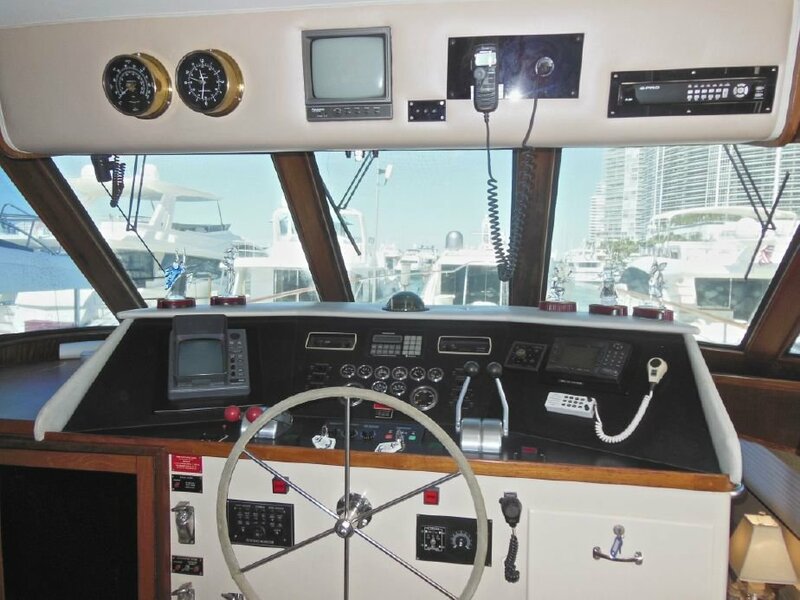 A bow pulpit, radar arch and foredeck seating were standard. 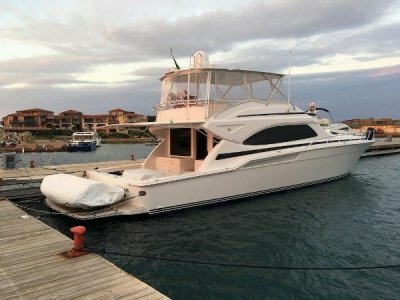 Cruise at 16-17 knots with twin GM 650hp 12V71 diesels (about 20 knots top).